Could Bitcoin technology help science? Blockchain could lend security measures to the scientific process, but the approach has its own risks. Andy Extance is a freelance writer in Exeter, UK. The much-hyped technology behind Bitcoin, known as blockchain, has intoxicated investors around the world and is now making tentative inroads into science, spurred by broad promises that it can transform key elements of the research enterprise. Supporters say that it could enhance reproducibility and the peer review process by creating incorruptible data trails and securely recording publication decisions. But some also argue that the buzz surrounding blockchain often exceeds reality and that introducing the approach into science could prove expensive and introduce ethical problems. A few collaborations, including Scienceroot and Pluto, are already developing pilot projects for science. Scienceroot aims to raise US$20 million, which will help pay both peer reviewers and authors within its electronic journal and collaboration platform. It plans to raise the funds in early 2018 by exchanging some of the science tokens it uses for payment for another digital currency known as ether. And the Wolfram Mathematica algebra program — which is widely used by researchers — is currently working towards offering support for an open-source blockchain platform called Multichain. Scientists could use this, for example, to upload data to a shared, open workspace that isn't controlled by any specific party, according to Multichain. Blockchain underlies cryptocurrencies such as Bitcoin, which is traded as units called bitcoins, with a lowercase ‘b’. It is created by a community of ‘miners’, who run Bitcoin software on their hardware and compete to discover a hard-to-find number by trial and error. The victor of this contest adds an encrypted block of transactions to the chain and earns a financial reward. They communicate the extended blockchain to all the other miners, and the process starts again. Mining takes a lot of computation, which makes it unlikely that any individual will win twice in a row. This is crucial, because if miners could add more than one block, they could gain power over the record and even discard earlier blocks they had added. That would effectively refund their transactions and enable them to spend the same bitcoins again. 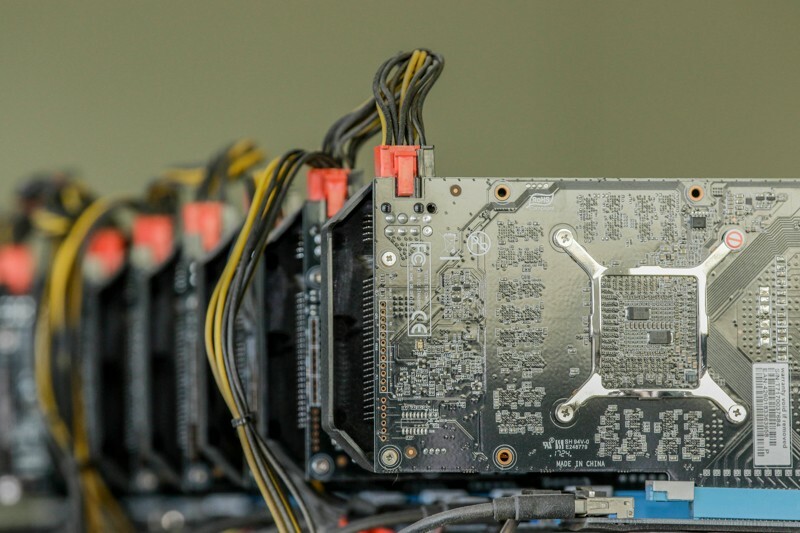 In 2016, a consortium of miners highlighted that vulnerability by working together to add multiple blocks, although the group voluntarily disbanded once they came close to achieving it. And because mining is hungry for computing power, Bitcoin’s miners consume more electrical power than many countries, according to analysis platform Digiconomist. One way blockchain technology could help scientists is by reliably collecting and preserving data concerning research activities. This would make it easier to reproduce results in cases where published accounts insufficiently explain methodologies, according to Joris van Rossum, director of special projects at Digital Science, a research-technology firm in London. Blockchains could also be used to track each transaction in the peer-review process, says van Rossum, which could build trust in the process by recognizing reviewers’ efforts and potentially rewarding them with digital currency. And open blockchains would generate information such as how frequently researchers collect measurements, enabling people to look beyond metrics such as publications and citations, he says1. Scienceroot and Pluto are part of the same ‘universe’ of open-blockchain technology as cryptocurrencies, says Gideon Greenspan, founder of London-based Coin Sciences, which developed MultiChain. Greenspan says that such currency-style blockchains are unsuitable as scientific archives, because recording each transaction incurs a financial cost, which can easily add up. Costs in research applications would increase faster than it does for cryptocurrencies because modern science produces far more data. Private “permissioned” blockchains without the currency element — which MultiChain lets people set up — are a better choice, Greenspan says. This approach sacrifices the security offered by Bitcoin’s mining process for a simpler system that gives members permission to add blocks to the chain in turn. This also lowers power consumption. Claudia Pagliari, who researches digital health-tracking technologies at the University of Edinburgh, UK, says that she recognizes the potential of blockchain, but researchers have yet to properly explore its ethical issues. What happens if a patient withdraws consent for a trial that is immutably recorded on a blockchain? And unscrupulous researchers could still add fake data to a blockchain, even if the process is so open that everyone can see who adds it, says Pagliari. Once added, no-one can change that information, although it's possible they could label it as retracted. In Pagliari’s experience, researchers exploring blockchain are becoming wise to its problems. She notes that fellow speakers at a recent London ‘hackathon’ on using blockchains to improve clinical trials, for which Microsoft was a partner, were careful to warn about hype. That suggests “a realism that no solution is perfect and the value of blockchain in this context remains unproven”, Pagliari says.